Illustration published on Monday, Feb. 19, 2018. ASU researchers have shown that consumers's opinions were more malleable when they were presented with a different opinion in a face-to-face conversation. The W.P. Carey Behavioral Research Lab recently published a study in the Journal of Consumer Research about this phenomenon. The study found that consumers can have a negative experience with a product and still be willing to rate the product highly if they have a face-to-face conversation with someone who had a positive experience. It’s no secret that solar panels are extremely expensive, which makes it more difficult for companies to justify the expense. But for aerospace companies looking to power the next “giant leap for mankind,” solar technology is a worthwhile investment. ASU researchers have developed a solar panel design that can survive the intense environment of space while also being cheaper and more efficient than most other solar panels on the market today. Relevant quote: "The food system is broken. And while many believe that, I don't think that's a winning way to start any meeting. It's not inspiring. It’s not solution oriented, and what really attracted me to ASU was that fact it's number one in innovation. “Solutions” is in the name of colleges, departments, collaboratories. “Solutions” is just a hallmark word here at ASU, and I think it's more than a word. I think it's a mindset. It's a culture." — Kathleen Merrigan, executive director for the Swette Center for Sustainable Food Systems. 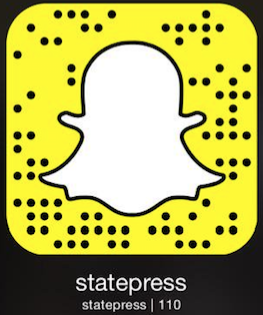 Reach the reporter at nesherwo@asu.edu or follow @thecolesherwood on Twitter.